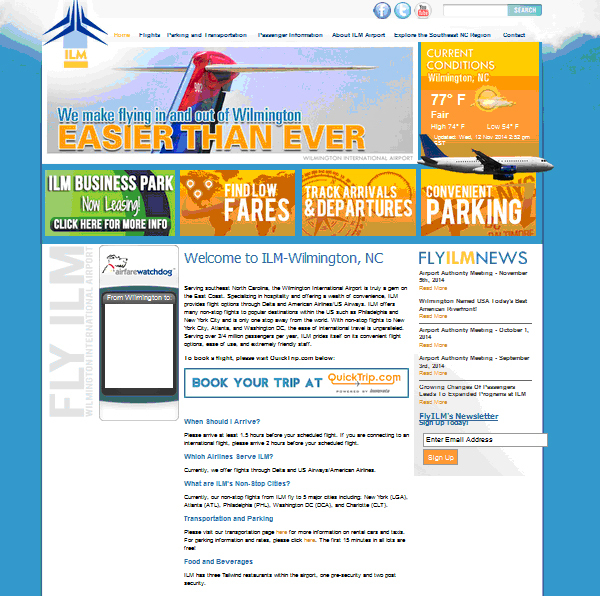 ICND is excited to announce the launch of our latest website for the Wilmington Airport. We have been growing more and more in the Wilmington area, and are proud of our latest design! When we first began this project, we met with the Wilmington Airport’s marketing team and put our heads together to establish goals and a creative direction. We looked at other airport websites that their team liked, as well as other local websites and sites ICND had designed, to establish what they were looking for. Our designer then brought their vision to life with the new site. The design is wide and modern, but also simple, with large photos, to grab user’s attention and direct them to the information they are looking for. We’re proud of the unique design and are happy to continue our relationship with our local airport. Take a look at the comparison of the new site vs the old site below. We built the site new site to be mobile friendly responsive for viewers on the go. 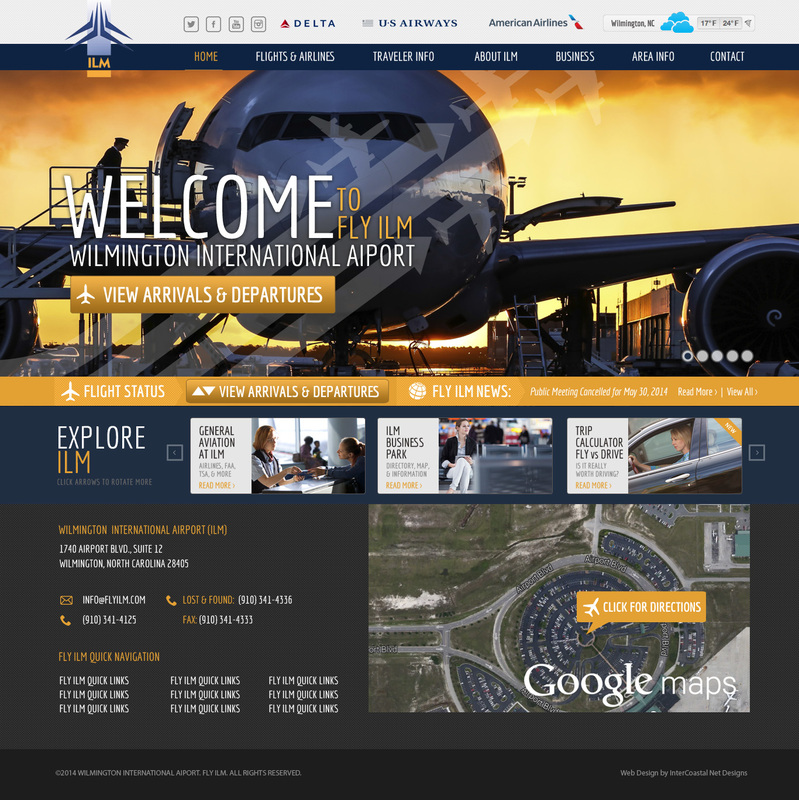 The site is full of information about the airport, rental cars, airlines, shows arrivals and departures, provides information about Wilmington for those traveling to the area, and more! One of the great new features on the website is the trip calculator, which show’s locals that the drive to a further away airport is not always a money saver! Check out the trip calculator here. Browse around our latest and greatest project, and let us know what you think! And don’t forget if you’re a local to this area, fly local out of ILM! Next Next post: Caitlin Wins SC State Tennis Championship 2nd Year in a Row!